Strato 2.6 is almost here. We just want to remind you that Strato 2.6 will be released on Sunday. For more information please see the previous blog posts for this release. Strato will be updated on April 14th at 09:00 GMT+1 (Denmark) – 08:00 GMT (UK). Downtime is expected to be a maximum of 6 hours. When next logging into Strato after that you will automatically be prompted to update your Strato installation. Please press Yes to proceed. This entry was posted in Releases on April 10, 2019 by Auditdata. This release provides you with the ability to manage additional client details, better manage your scheduler, capture client signatures electronically, and more! 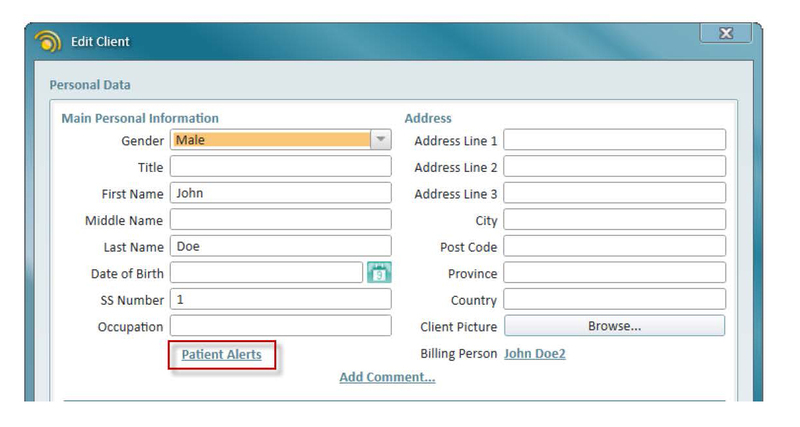 Strato Patient Alerts allow you to create custom alerts when opening a patient screen and / or an appointment with the patient. This helps the administrator to keep track of important information related to a specific patient and take the corresponding action such as allergies or if a translator is required. Additional Contacts Details on Client – You can now add more contact details for the client – it can be the parent of a child, the caregiver for the elderly person etc. 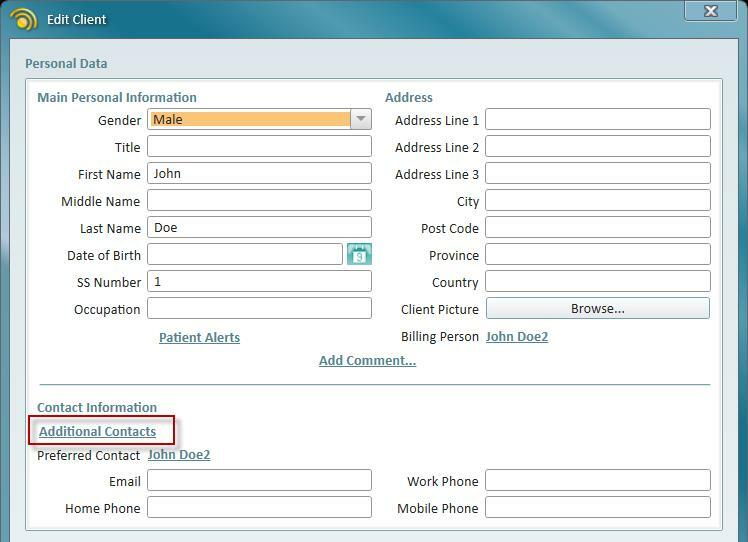 You can mark a contact as a preferred one for the client or set the contact as client’s billing address. Scheduler Office Resource Management – You can now better track such office resources as sound booths, audiometers or office rooms. Simply create a resource type and assign it to the office. Then as you create appointments in this office – simply add a required resource. 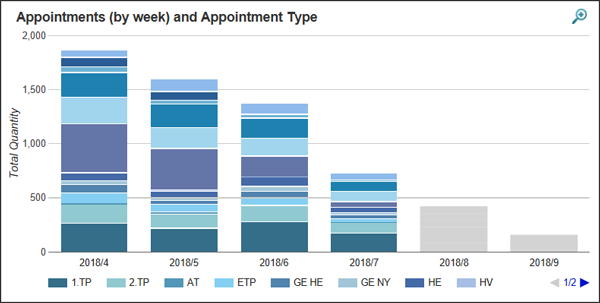 To further ensure accuracy when booking appointments and using resources, appointment reasons can be linked directly to the resources that are relevant to that reason. Enterprise Scheduler Changes – You can now assign outcomes to specific appointment types and add specific actions for every outcome. 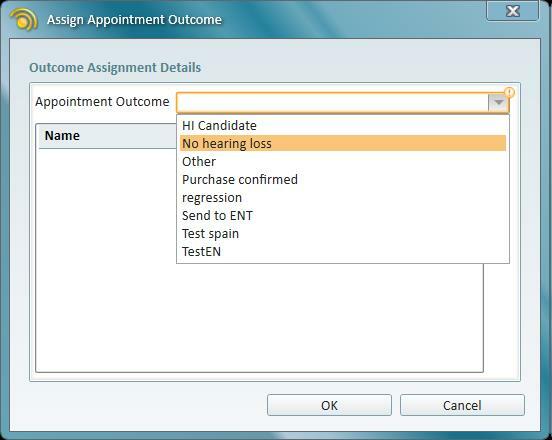 This way when you create an appointment of a certain type, you will be able to choose from the list of the relevant outcomes. If the outcome has one or several actions, those will be displayed – a helpful reminder to ensure a consistent client experience across the entire organization. Electronically sign documents – You can now sign Strato documents electronically – suing the Signature Pad or the Signature feature in Adobe. This saves time and money allowing you to avoid the manual signature paperwork process. Please review the attached what’s new for a more detailed list. saves time and money allowing you to avoid the manual signature paperwork process. When next logging into Strato after that you will automatically be prompted to update your Strato installation. Please press Yes to proceed. This entry was posted in Releases on April 2, 2019 by Auditdata. This blog post briefly describes some of the features in the next release, it’s expected to be ready mid April. We will inform you about the exact date later. With better payment balance handling, the invoices with overpayments will have the status Over Paid. Moreover, overpaid amount can now be easily transferred over to a deposit for the client. Tracking articles – Select an option Track in History for an article of your choice. 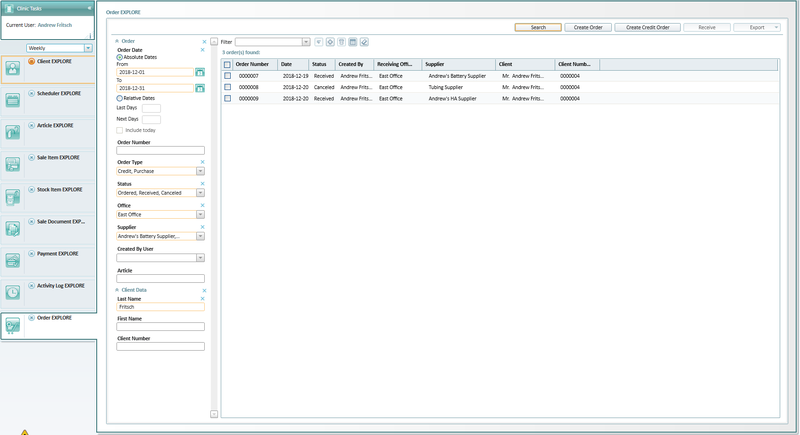 Now a complete item history can be tracked on the Last delivered HI panel on client’s screen. You can specify more article details by adding an Article Manufacturer, Style, Model, Make and Category. Now you have more options to filter the article in the Article EXPLROE view. The SMS template now includes the Office Address – making client notifications even more informative. This entry was posted in Releases on March 26, 2019 by Auditdata. This release provides you with the possibility to keep track of orders placed to your supplier on behalf of clients such as for hearing aids, as well as orders to replenish your stock such as batteries. Simply click to create one order for each vendor in the sales session or create an order from scratch in our newly created Order Explorer! Cancelling an open order or returning articles to your suppliers is a breeze. And with article quantities being updated automatically this new feature will be sure to make article management easy and reliable. Azure support for Active Directory: Take advantage of Strato’s ability to authenticate by using the Active Directory service for Azure, allowing your staff to use the same set of credentials for Strato as used when logging into Windows. This means that your staff will automatically be logged into Strato once they are logged into Windows. NOTE! Azure Active Directory currently do not support offline mode which means that Strato’s offline mode will not be available, e.g. taking Strato on remote customer visits without having access to the internet. 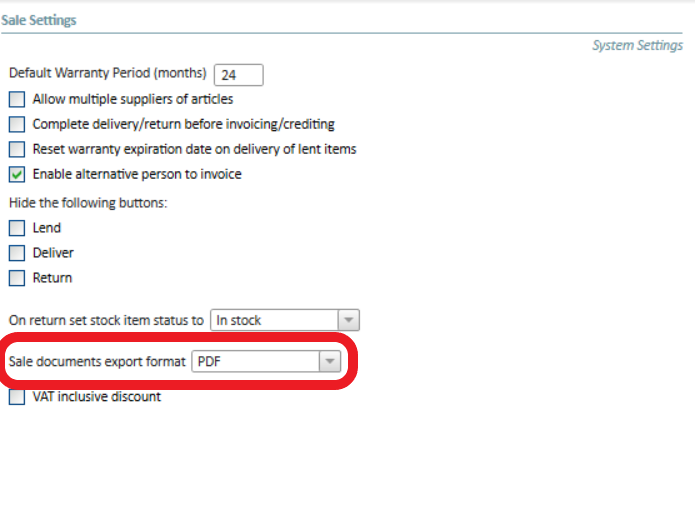 Print to PDF: Now users will have the ability to decide if they want to print sales documents as PDF documents. Strato will be updated on January 20th at 9:00 GMT+1 (Denmark) – 8:00 GMT (UK). Downtime is expected to be a maximum of 6 hours. 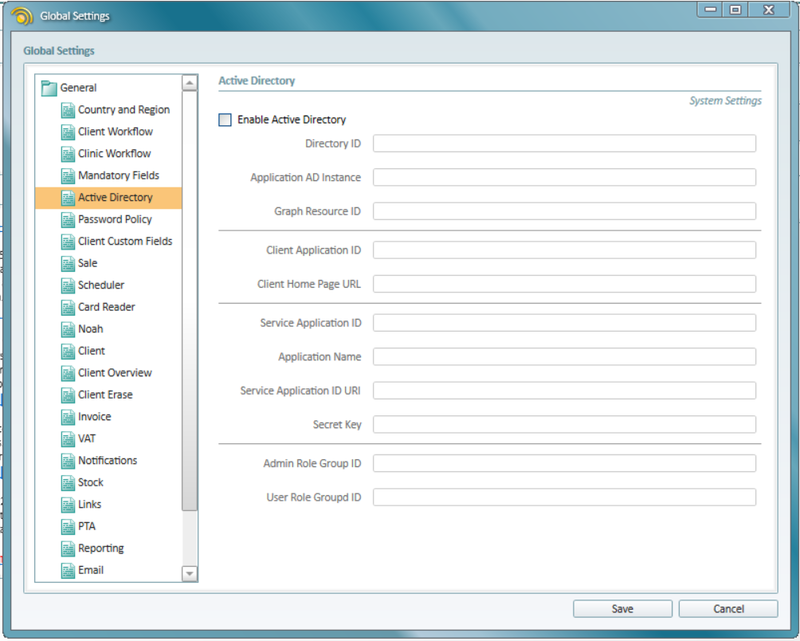 When logging into Strato on January 20th users will automatically be prompted to update their Strato installation. This entry was posted in Releases and tagged Strato Release 2.5 on January 17, 2019 by Auditdata. On Saturday December 15th at 21:00 GMT+1 (Denmark) – 20:00 GMT (UK), we plan to perform system maintenance. This system maintenance will take up to 16 hours to complete. During this time there will be no access to the Strato application. Please contact stratosupport@auditdata.com, if you have any questions. This entry was posted in News on December 6, 2018 by Andrew Fritsch. This release provides you with possibility to organize your audiological shops into Business units by grouping offices and users – due to financial, security, and reporting reasons. 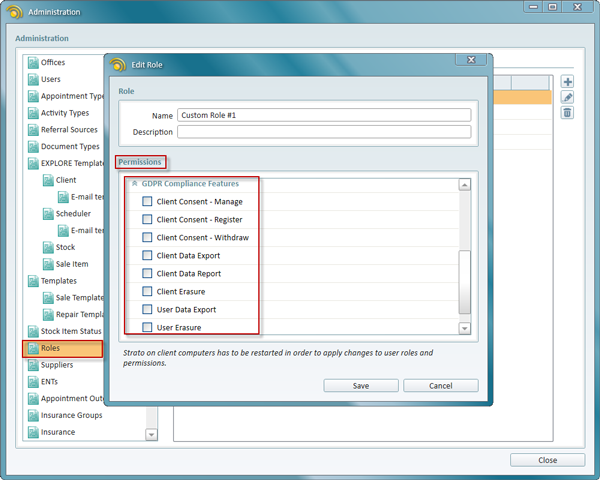 Business units provide you with an easy way to introduce data isolation between users. Together with enhancement of the handling user’s role and permission you can customize what a user should be able to access to on Business Unit level and Office level. The improvements help you get a clear overview of where your business shows excellence and where your business could optimize for greater profit. Strato will be updated on August 15th at 20:00 GMT+1 (Denmark) – 19:00 GMT (UK). Downtime is expected to be a maximum of 6 hours. When logging into Strato on August 16th you will automatically be prompted to update your Strato installation. Please press Yes to proceed. This entry was posted in Releases on August 10, 2018 by Auditdata. On 23.05.2018, after successful release of Strato v2.3.2 some of Strato customers have had faced some performance issues. We now have fixed the issue and proactively monitoring this. In case users are still facing slow performance please contact Strato support. This entry was posted in Releases on May 25, 2018 by Auditdata. With this release version 2.3.2, Strato is now fully compliant with the GDPR regulation and privacy for everyone within EU. Strato will be updated on May 22nd at 20:00 GMT+1 (Denmark) – 19:00 GMT (UK). Downtime is expected to be a maximum of 6 hours. 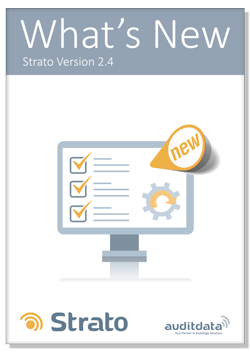 When logging into Strato on May 23rd users will automatically be prompted to update their Strato installation. This entry was posted in Releases and tagged GDPR, NOAH, STRATO on May 17, 2018 by Auditdata. The European Commission’s General Data Protection Regulation (GDPR) will take effect at the end of this month. Auditdata provides Audiology office management solutions for both public and private hearing healthcare providers in many EU countries, and as such is subject to the GDPR. We have been preparing for some time in preparation for the regulation to take effect. In this article, we will address some of the common questions that customers have asked us. For us, the most significant question and the information we want to get across is that all of our office systems are fully compliant with the regulation. In fact, Auditdata is an ISO 27001 certified company and therefore is ideally placed to meet the demands of GDPR and general Data Privacy Compliance Regulation. In this article we will deal with Strato, our easy to use office management system designed for private practice. We store our European based client data in a secure data centre in Ireland, which is managed by our infrastructure partner Microsoft. The data centre provides the latest server and security technology and is ISO 27001 certified. All Strato data is securely backed up, and we can deliver details of backups and security protocols upon request. Is my data encrypted when transmitted? Yes, data transferred over internet is encrypted. What data access controls are in place? We take data access seriously at Auditdata; firstly, you can only obtain access to Strato data through the Strato OMS Application. A unique Licence key is needed to ensure the connection between the application and the cloud-server; finally, each user must have a unique user ID and a password to access the system. We also limit access to data within the system with user roles which provide different levels of data access. It means that a receptionist can have access to scheduling without full visibility of clinical details. We have security systems in place that monitor and inform us of any attempted data access. We will report any privacy breach within one working day. What if I want a copy of my data? As per our license agreement, your data is your property and is considered confidential. Through Strato user interface you have possibility to export your data. We have separated data within Strato into three specific areas, personal identifier data such as name, date of birth etc., Noah Data and finally any documents you may have added to a Patient record. You can export one or all of these data records depending on the request. What about Right to Access? 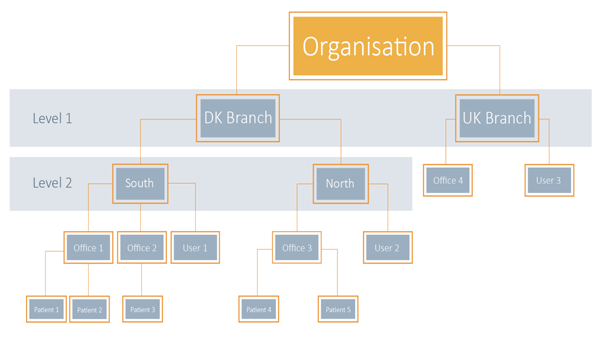 We have designed a right to access feature within Strato that allows an on-screen visualisation of all of the data held against a Patient record. This feature will let you visually show any Patient all of the data you keep about them. We have designed a consent manager feature within Strato that is populated with typical consent paragraphs needed within a Practice. However, because each market is different, you can also setup and customise your own consent paragraphs. Using this system within Strato will ensure that you never undertake any marketing or communication activities that a customer has not consented to. What about Third Party Sharing? We have GDPR compliant contracts and processes in place with any third party sub data processors we deal with. Details are available on demand. It is essential that you realise that even if you are using a GDPR compliant software system to handle Patient data, that does not mean that you are GDPR compliant. It means that your office management system is technically compliant, the onus is on you to institute processes and procedures to ensure that the way you use the software and how you share information within your organisation and with third parties is compliant. This entry was posted in Important, News and tagged GDPR, STRATO on May 2, 2018 by Auditdata. This release provides you with access to the Warehouse Database. Strato’s extra features and other improvements help you get a clear overview of where your business shows excellence and where your business could optimise for greater profit. Strato will be updated on March 5th at 20:00 GMT+1 (Denmark) – 19:00 GMT (UK). Downtime is expected to be a maximum of 6 hours. When logging into Strato on March 5th users will automatically be prompted to update their Strato installation. This entry was posted in Releases on February 27, 2018 by Auditdata.